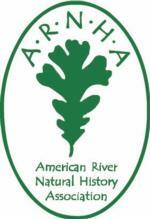 The American River Natural History Association (ARNHA), in conjunction with UC Division of Agriculture and Natural Resources, offers the California Naturalist certification class at the Effie Yeaw Nature Center in Carmichael (Sacramento County). The 40-hour course combines a science curriculum with guest lecturers, field trips and project-based learning to explore the unique ecology and natural history of California, with an emphasis on the greater Sacramento region. The course covers basic ecology, watershed concepts, geology, wildlife, plants, and global environmental issues, as well as tools for collaborative conservation and communication. 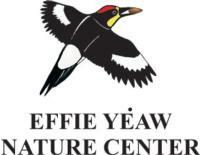 The ARNHA operates the Effie Yeaw Nature Center within a 100-acre Nature Study Area in the middle of the 23-mile American River Parkway, one of the largest riverside parkways in the United States. ARNHA offers nature programs to K-6 grades, adults and weekend family adventures, reaching over 15,000 students per year. The Nature Study Area is a mature oak woodland featuring valley and live oaks, cottonwoods and over 100 species of birds, mammals, reptiles and other creatures. The Lower American River runs along the edge of the Nature Study Area, including gravel bars for spawning steelhead and salmon. The Nature Study Area is protected from dogs, horses and bicycles so nature experiences can be close and rich. Spring 2019 Dates: March 18 - May 20. Cost: $425. Tuition covers weekly classes including on-site field excursions and additional weekend field trips (although transportation is not included). Students must purchase the course text: The California Naturalist Handbook (2013, UC Press). Registration: Visit their website to register and more information. Instructor: Brena Seck is a Lead Naturalist at Effie Yeaw Nature Center, where she has been on staff since 1999. After graduating from University of California at Davis with a degree in Wildlife and Fisheries Biology, she worked as a field biologist, focusing on birds and small mammals, but yearned for a place where she could continue her work on wildlife and interpret nature for people. She discovered the Effie Yeaw Nature Center and it was the right fit! Brena presents a variety of educational nature programs for schools, but her specialty is providing Maidu cultural programs – sharing the stories, traditional games and foods, and connecting people to the resources around them. She also enjoys interpreting the plants, animals and ecology of the American River Parkway to the thousands of visitors who come to Effie Yeaw Nature Center annually. Contact: For more information email Brena Seck.